Check out what’s happening This Weekend in Middle Georgia and beyond, on and off the beaten path. 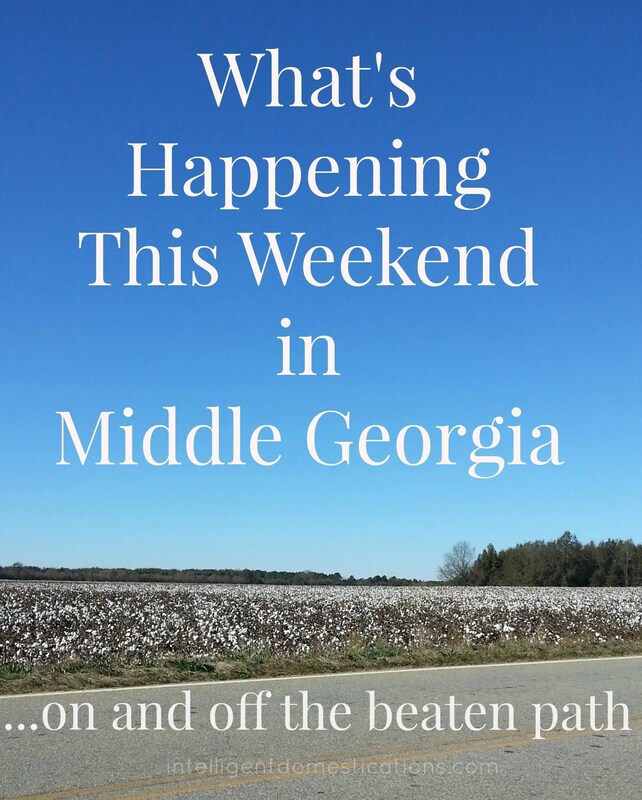 Welcome to our very first edition of What’s happening around middle Georgia and beyond page. Publication of the new listings will occur generally each Thursday. Check back often for updates and additions of events. To have your event considered for addition, please contact: Shirley at Shirley.wood97@gmail.com with subject EVENTS. I have lived in the middle Georgia area for more than 45 years. There are so many beautiful attractions and fun family events going on. As a blogger, I’d like to help you find places to take your family in the middle Georgia area, whether it’s a staycation, vacation or a day trip. Movie in the Park at Ocmulgee National Park. Friday March 6th. Location: OUTDOORs at Visitor Center Time: 8:00 PM to 10:00 pm. FREE. Movie will be shown on outdoor screen. Bring your blanket or chairs. Concessions will be sold. Dog Days Family Event at Bass Pro Shop: Mar 6, 7, 13, &14, 2015. Free seminars on Fridays March 6, and 13 at 6pm. Free seminars on Saturday March 7 and 14 at 11am and 2 pm. Events taking place Sat. March 7th. (click the link for more information) Visit the Festival website for more information here. Warner Robins Community Concert Association presents “Atlanta Mandolin Orchestra” on March 8, 2015, at 3:00 p.m. in the sanctuary of first United Methodist Church located at 205 N. Davis Drive, Warner Robins, Ga.
Hellebore Days at Piccadilly Farm 1971 Whippoorwill Road, Bishop, Georgia. March 6-7 10am-4pm. Stroll the gardens and enjoy viewing a wide variety of Lenten roses(hellebores). Maps are available for self guided tours and garden hosts are available during special events. The gardens feature trails with hellebores, camellias, native plants, conifers, and many other special collections. Worm Moon Night Hike at FDR State Park 2970 Ga. Highway 190 Pine Mountain, GA 31822. Guided night tour through woodlands. Geared towards ages 10 & up. Bring a flashlight, water and a snack. Dress for the weather. 3.4 moderate miles. Meet at the Callaway Gardens Country Store overlook parking lot. PEACHES TO BEACHES YARD SALE IS NEXT WEEKEND!!! American Frontier Days at FDR State Park. March 14-15. Living History Weekend at Andersonville. March 14-15. Forsythia Festival. Forsyth. March 14-15. It’s Fairs and Festival season in Georgia!! Cherry Blossom Festival March 19-April 4. Macon. Forsythia Festival. March 14-15. Forsyth. St. Patrick’s Arts & Crafts Festival. Dublin. March 21. Strawberry Festival. April 24-25. Reynolds. Yay!, spring activities. Can’t wait till it reaches here. What a great list of activities! I’m getting cabin fever after being stuck inside all winter here in Indiana. You are making me homesick, girl! I grew up in the middle of all of those great places. My dad retired from the Air Force Base in Warner Robins after working there for as long as I remember. This is such a great way to share what’s happening in your neck of the words (and will always be mine, too). There is so much to see and do this time of year. I know this series is going to work me but I will enjoy it. Stacy and I like to find day trips and fun things to do in the area so why not share. I’m going to probably keep it going throughout the spring and summer months while there are so many activities available.